Before you go to France, use this comprehensive online France travel guide to find out all the basics about customs requirements, the culture, weather, currency and more. Also, get tips on when to go and where to go in France. 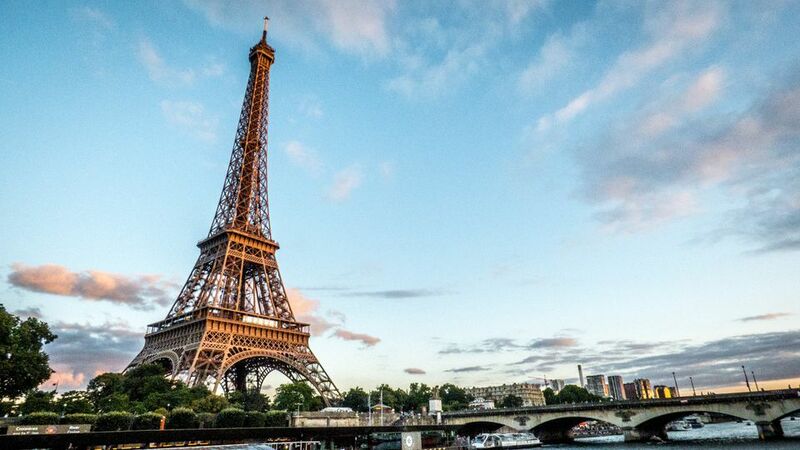 France is a diverse and rich nation, filled with destinations to suit every taste. The French, while often stereotyped as rude or snobbish, are actually a proud but friendly people. The key is to understand the cultural differences. The food in France is among the finest in the world, and it is the largest wine-producing nation in the world. The French value cuisine, arts, culture and history. Each region has its own flair and uniqueness. You are about to embark on an enticing adventure, but there are certain details and rules you should know before you go. All foreign visitors must have a passport. (If you don't have a current passport, start this process as early as possible. Glitches, like a missing birth certificate, can drag this out.) Americans planning to visit for 90 days or longer, or those who plan to study in France, must get a long-stay visa. Think of France, and most people automatically think of Paris. But there is much more to this country, whether it be the robust stews and beer of the Alsace or the laid-back attitude and sunny beaches of the Riviera. There are many other underrated but wonderful cities, as well as unique spa resorts and villages and lovely beaches all around the coastline from the north to the border with Italy. France is divided into regions, and I would recommend you read up about the distinct personalities of each before deciding on a destination. Most major U.S. airports fly to Paris, some going non-stop, and Roissy-Charles de Gaulle in Paris is the most popular airport in France. Some airlines also fly into other major French cities, such as Lyon and Strasbourg. It takes around 7 hours to get to France from the East Coast. There are many economical and handy ways to get around France. You need to examine where you wll be going and how flexible you are. If you plan to visit villages not accessible by train, a rental car is ideal. The French drive on the same side of the road as Americans, but there are some differences. While traffic lights are commonplace in the States, many intersections in France are traffic circles instead. These are actually much more efficient, but might take getting used to. Also, it becomes far more crucial to have good maps if you will rent a car. (Try asking for directions in a foreign language. Not pretty.) Check out the advantages of long term Renault Eurodrive Buy Back Car Leasing. If you are visiting cities with train stations, rail is convenient and can be inexpensive. The key is to determine whether you will just buy point-to-point tickets (preferable if you will be taking few trips or short trips), European rail passes (if you plan to go country to country) or a France Rail Pass (if you will travel often and long distances, all on one country). If you plan to visit French cities that are far apart (say Strasbourg and Carcassonne), you might want to check into flying within the country. It's relatively cheap, and can save you hours of train travel. In addition, many cities also have their own transportation system (such as Paris' metro). Even many smaller villages have a bus system. France's transportation system is much more extensive than that of the U.S. Check with the city or region's tourism office. Deciding when to go depends on both your temperament and that of France. Climates and the popularity of a region depend heavily on the time of year, and vary dramatically from one region to the next. The North of France is at its busiest in late spring and early summer. The weather is best, but the attractions are packed and the prices are highest. Also, you might want to avoid the North in August, when most of the natives are on vacation in the South. If swarms of tourists aren't your thing, fall is a wonderful time to visit the north. While you are sure to have a few overcast, windy, rainy days to contend with, things are still very happening this time of year. Winter can be blustery, but there are keen benefits then as well, such as ice skating in Paris or Christmas Markets in Alsace. See Christmas In France. The South of France is attractive almost any time of year. But remember that it is jammed in August. In May, the Cannes Film Festival packs that city and those nearby. Even in fall, sometimes you can dip your toes in the Mediterranean. Don't be fooled, though. Provencal winters can be unexpectedly chilly. Find out more with the France Travel Monthly Calendar. France is one hour ahead of Greenwich Mean Time, and five hours ahead of New York City. The country does honour daylight savings time, so during that time it is one more hour ahead, or six hours later than in New York. If at all possible, it is very helpful to at least learn a few basic phrases, especially ones you will use often (such as transportation and menu terms, etc.). Although the French are taught English in grade school, some do not know much English (what do YOU recall from high school Spanish, after all?). They also are more likely to reveal their ability to speak English if you at least make an attempt to speak their language first. Many times, people presume the French are being rude, when it's actually just due to cultural differences. The French, for instance, always greet each other before speaking. So if you run up to a French person looking for directions by saying, "How do you get to the Eiffel Tower?" you have just been rude by French standards. Acquaint yourself with French Culture. In France, the euro is the local currency. This involves a little less math than the previous franc (although I still miss the colorful franc with interesting themes such as "La Petite Prince"). When the euro is more valuable than the dollar, just round up a little (such as, you spend 8 euros, and estimate $10 in your head just to be conservative). Even those who know a little French language may have trouble understanding shop keepers who recite prices. When you ask "Combien?" (How much? ), keep a small pad handy so shop keepers can write the amount down. What to pack for your French trip depends heavily on which region you will visit, where you will stay and how mobile you will need to be while visiting. If you will be traveling all over the country, hopping train from one destination to another, pack light. A rolling backpack is great for this, by allowing you to choose between rolling it along or popping it onto your back. If you will, say, fly into Paris and stay in one luxury hotel the entire time, you can be more flexible and pack heavier. Don't presume you can just find it in France if you need it, however. Good English-language maps or guide books can be tough to find, and it is challenging even in a big city to get an adaptor plug designed to convert an American appliance into the French plugs. (Think about it. They have plenty that allow French appliances to be plugged in while in America because most of the shoppers IN France need that). To be sure you don't have packing regrets, check out this list of the Free France Travel Packing Checklist or these tips for packing light. If you want to use American appliances in France, you will need an adaptor and a convertor. The adaptor allows you to plug it into the wall, while a convertor changes the electrical current to the French standard. For example, if you have a hair dryer that allows you to change the electrical current, you would only need the adaptor. What some visitors fail to realize is that phone plugs also need adaptors, and without them you will not be able to connect your laptop. Be sure you also get a telephone adaptor if you plan to take a laptop. Placing a call home from France involves certain knowledge, but once you get the hang of it, it is surprisingly affordable and relatively easy. But first you must know the basics. For one thing, most French payphones do not take change, but instead use "telecartes." These can be purchased at many spots, such as tabacs and convenience stores, for a few euros. You slide the card into the slot on the phone, wait for the prompt on the display, and then enter the phone number (starting with the country code, such as "1" for the U.S.). The display will show how many units you have remaining. Calling on off hours will eat far fewer units. You can take advantage of time differences by, for instance, calling later in the night when it is late afternoon or early evening in the States. Dreaming of lugging cases of delectable French wine home with you? Most visitors are allowed to bring back $800 of French goodies without paying duty. The duty includes up to 200 cigarettes and 100 cigars. One litre of alcohol is also included in duty-free.